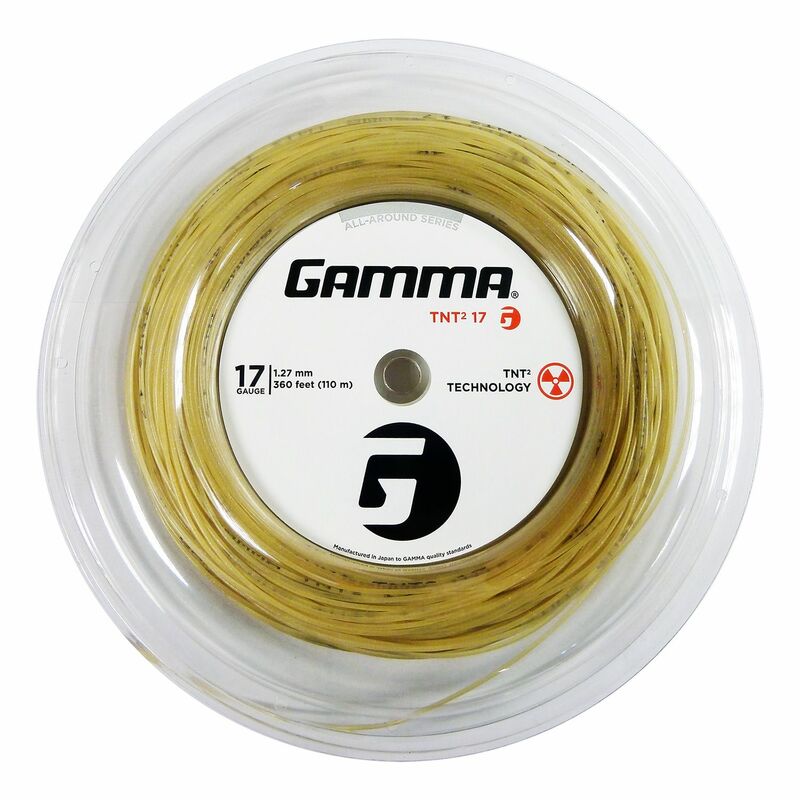 The Gamma TNT2 1.27mm tennis string - 110m reel features the Elastalon centre core, as well as outer wraps with Pearl Coating for enhanced durability. It has a gauge of 17 (1.27mm) and provides excellent playability, durability and control. This all-around string is suitable for all playing styles and incorporates the TNT2 technology which significantly improves dynamic elasticity (storing energy) and dynamic resiliency (returning energy to the ball) to deliver maximum control, accuracy and increased speed. for submitting product information about Gamma TNT2 1.27mm Tennis String - 110m Reel We aim to answer all questions within 2-3 days. for submitting product information about Gamma TNT2 1.27mm Tennis String - 110m Reel. We aim to answer all questions within 2-3 days. If you provided your name and email address, we will email you as soon as the answer is published. for submitting product review about Gamma TNT2 1.27mm Tennis String - 110m Reel.